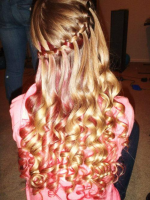 Ash medium blonde medium length hairstyle. i love this color in this pic im trying to look for the perfect hair color i have dirty blonde hair so i was carious if this color would be the right one for me!! !